Inside: Chocolate truffles recipe condensed milk. After school is the perfect time to surprise the kids with a sweet treat. I much prefer offering something sweet at this time of the day since they still have hours to run it off before bedtime and after working hard all day it is a nice reward. We often have friends headed home after school with us. These fun chocolate truffle recipe condensed milk version snack treats are a great dessert hack to get all the kids involved in making something sweet to eat. 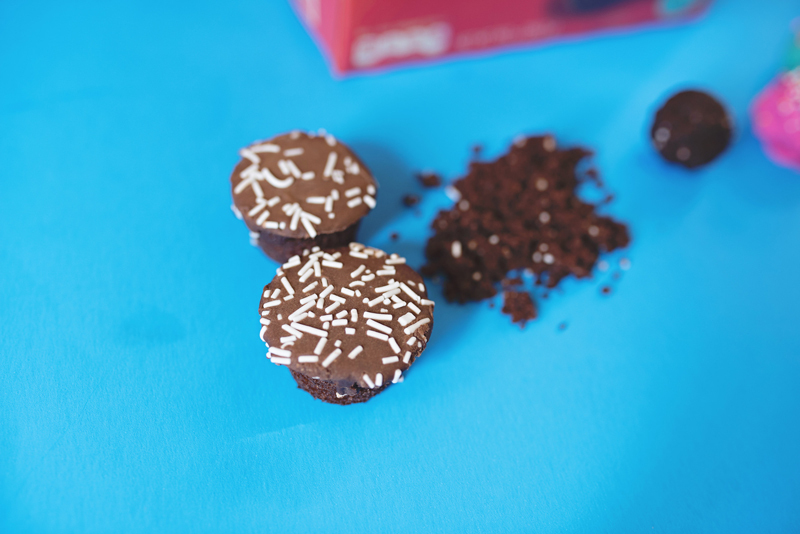 I’m partnering with Otis Spunkmeyer to make these yummy chocolate truffles recipe condensed milk version is more fun. 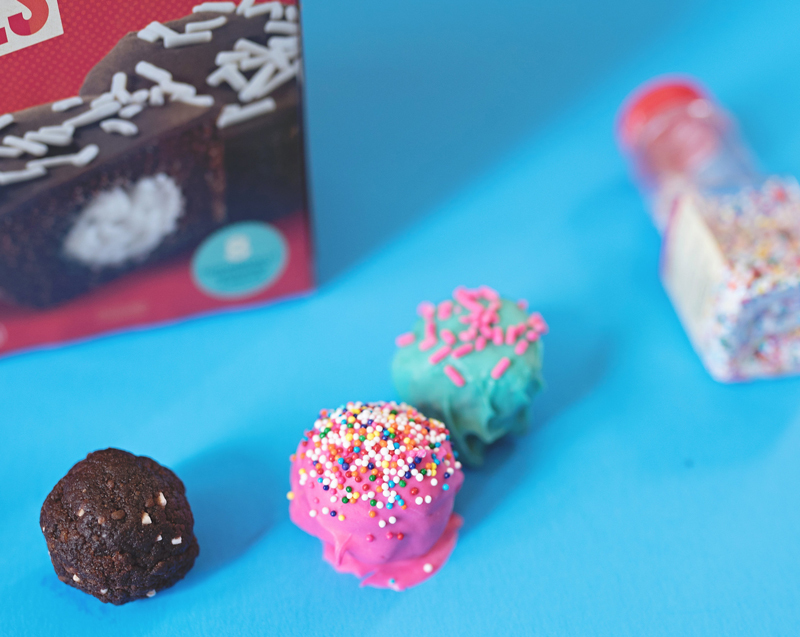 Since they make Mini Chocolate Cupcakes with no funky ingredients – just wholesome sweetness, I know we are having a treat that we can all feel good about. Start by blending the chocolate mini cupcakes and condensed milk in a blender or food processor until coarse and sand-like. Using your hand roll the crumbs into ball form. Because there is a sweet filling to these cupcakes they will be moist enough to roll without adding anything to the mix. Once the balls are rolled stick in the freezer for about 5 minutes to set. 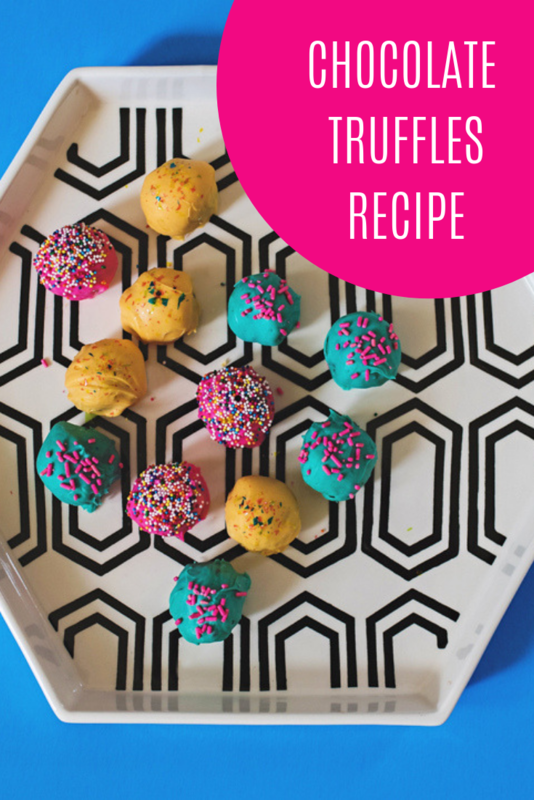 While they are setting, melt the white chocolate into a couple separate bowls and add in the food coloring to make a rainbow of pretty truffle colors. Dip each ball into the chocolate to coat. Add sprinkles and other toppings as desired. These chocolate truffles recipe condensed milk version is a rare after-school treat because the kids can help with almost all the steps. 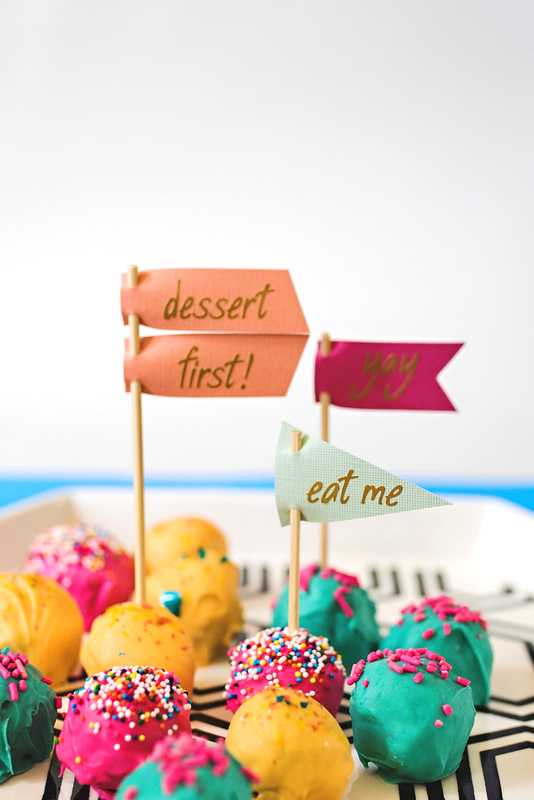 They’ll have a blast helping to roll the sandy sweet treats into balls and decorating them is great fun! 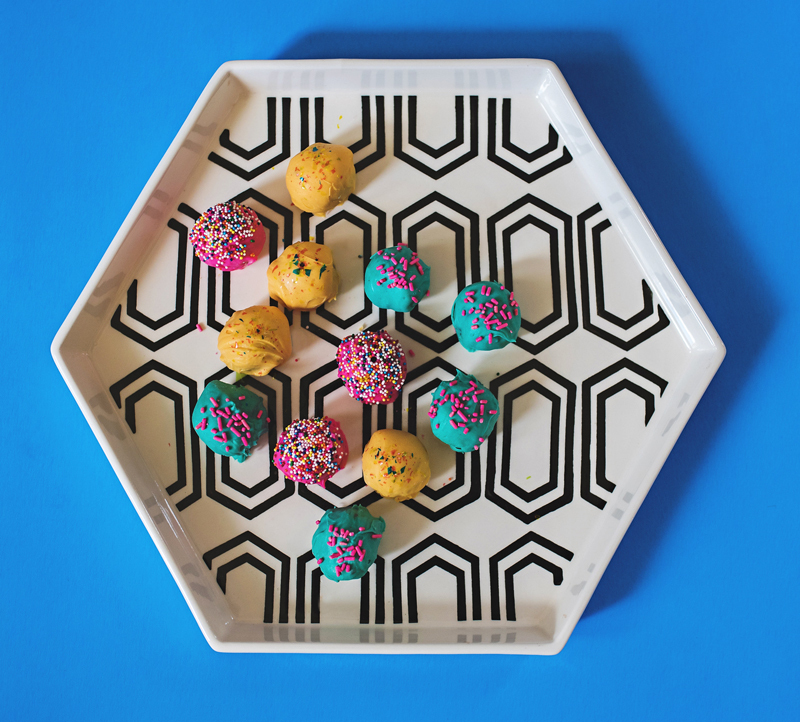 Serve up a plate for an afternoon playdate and you’ll easily be the neighborhood favorite. 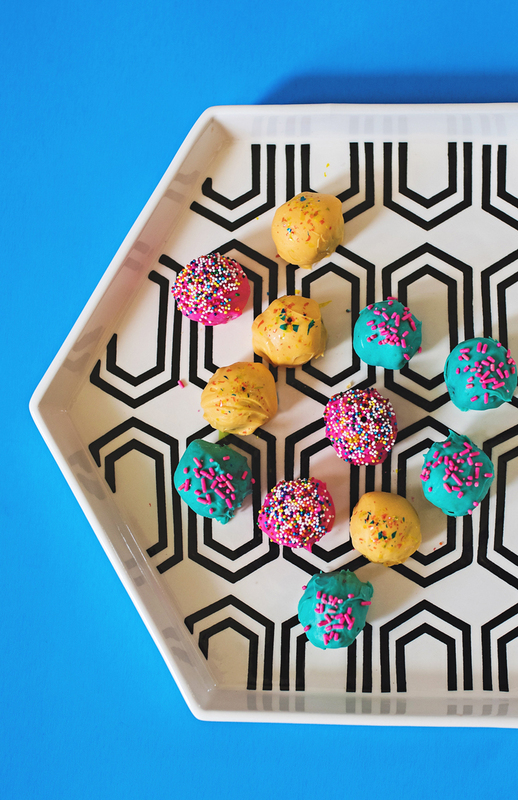 Do you have a fun dessert hack waiting to share? 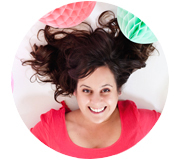 Otis Spunkmeyer is sponsoring a fun recipe hack challenge, where you can win a $250 Visa gift card – woohoo! 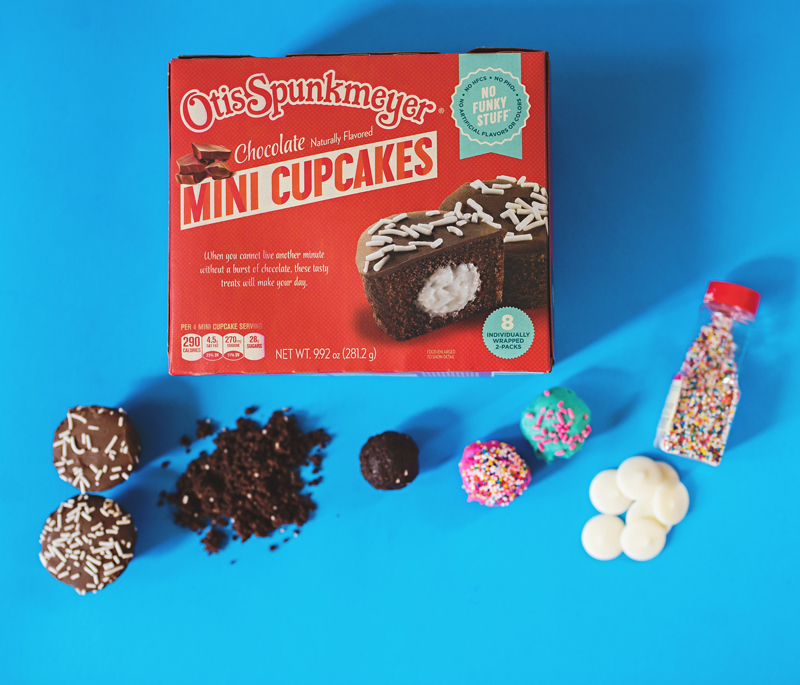 Use this post as inspiration to create your own Otis Spunkmeyer original recipe hack. Share your fun creation on social by tagging @OtisSpunkmeyer – @asubtlerevelry and #OtisSnackHack to win. Giveaway ends Friday, Sept 30th. P.S This Unicorn Toast and candy bouquet make other great and fun afterschool treats! This post and recipe creation are sponsored by Otis Spunkmeyer. Delicious! The owrfect after-school treat! Always dessert first!